After paper tuning your bow, it is time to fine tune your results! Think of paper tuning your bow as a macro adjustment and walk back tuning as a micro adjustment. The walk back tune will tell us if our arrow rest or center shot has to be adjusted left or right. 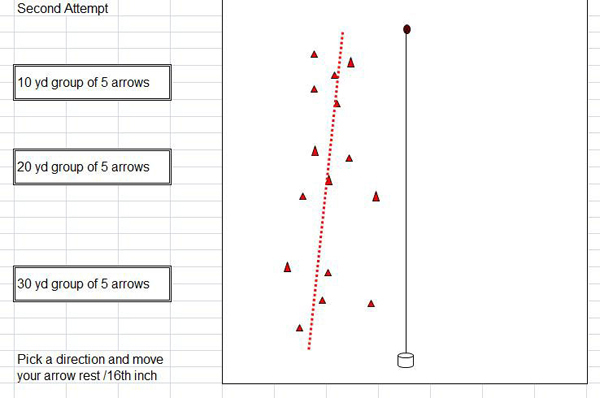 When it is set properly, our arrows should always land in the vertical center of the target at 20 yards and at 80 yards. 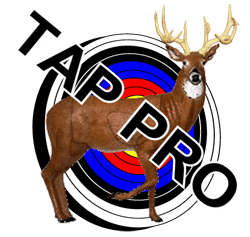 Follow these steps to learn how to walk back tune a compound bow. Hang a string from a target wall with a weight attached so you have a plumb line. Mark a bullseye in the middle of the line and at the top section of the target wall. With a dialed in 20 yard pin, take a shot at the bullseye. Now walk back to 30 yards and take another shot at the bullseye with the 20 yard pin. Do this same process at 35 and 40 yards. 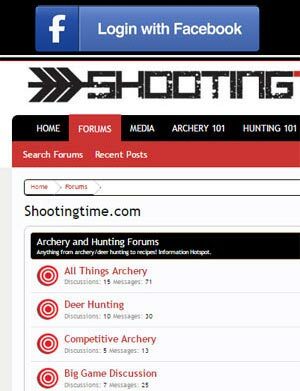 As you take the further shots, if your arrows are drifting to the left or right, you need to adjust your arrow rest the opposite way. 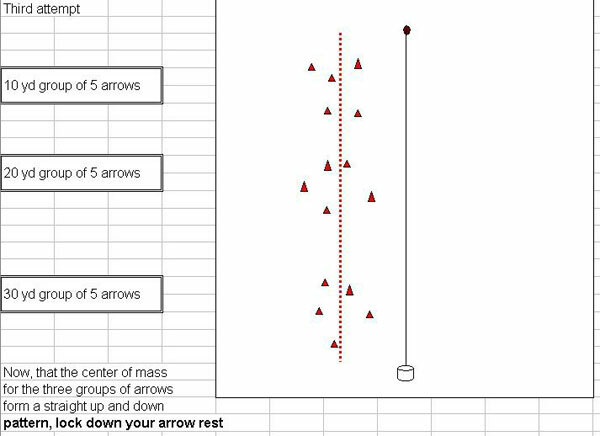 As you adjust your rest a little at a time, you should notice that your arrows will stack differently. Continue with micro adjusting your arrow rest until the arrows land within the plumb line. When your arrows stack perfectly, lock in your arrow rest’s setting. This is your perfect center shot. Another method that is a shortened version of the walk back tuning is called modified french tuning. In modified french tuning, you will take a shot at a bullseye from 3 yards. Adjust your pin so that you are hitting the bullseye dead center and then walk back to 10 yards. At ten yards, take a shot at the bullseye. Did it hit to the left or right at 10 yards? If so, move your rest the opposite way of where the arrow hit. If the arrow hit to the left of the bullseye, move the arrow rest in to the right. 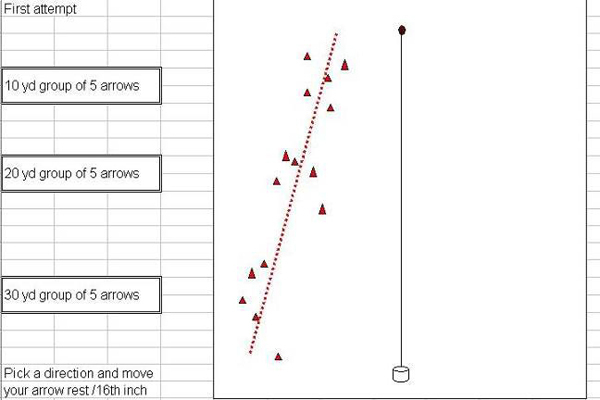 Resight your pin at the 3 yard distance and repeat the process until you are hitting the bullseye at both distances. For additional information on walk back tuning and modified french tuning, click here.